I'm Björn and I come in a pack of three. 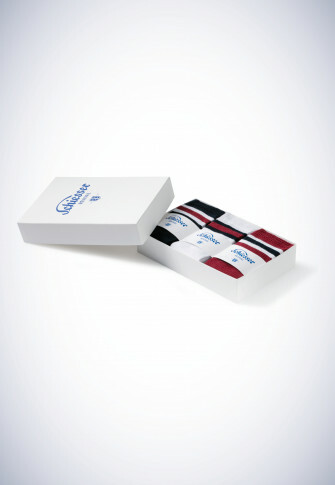 Packed in an elegant box, three pairs of men's socks await you. 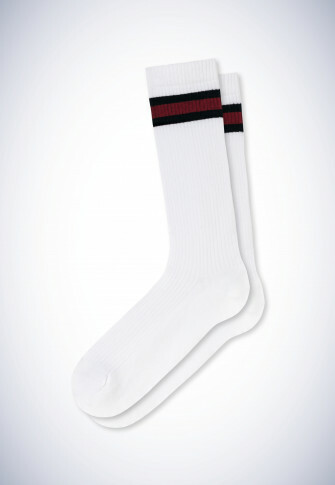 Pure white meets on dark blue and red - three times, they're combined with sporty stripes below the hem. My ribbed knit not only fits perfectly, but it also feels pleasantly soft. 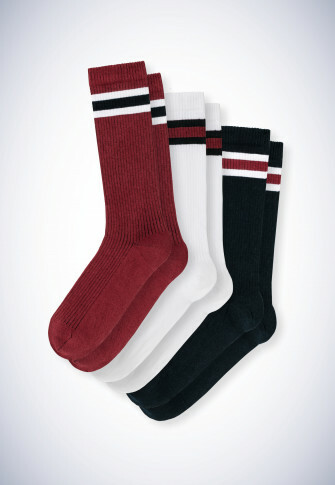 Keep them for yourself or give away to good friends - cool, sporty socks are always a reason to be happy! 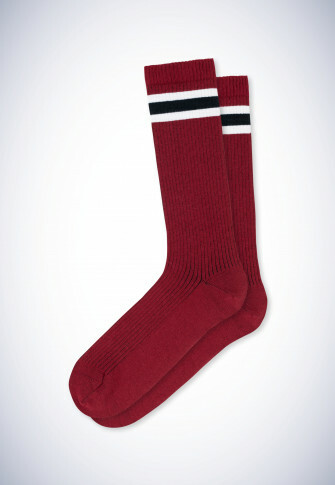 from the Revival Collection "Björn"